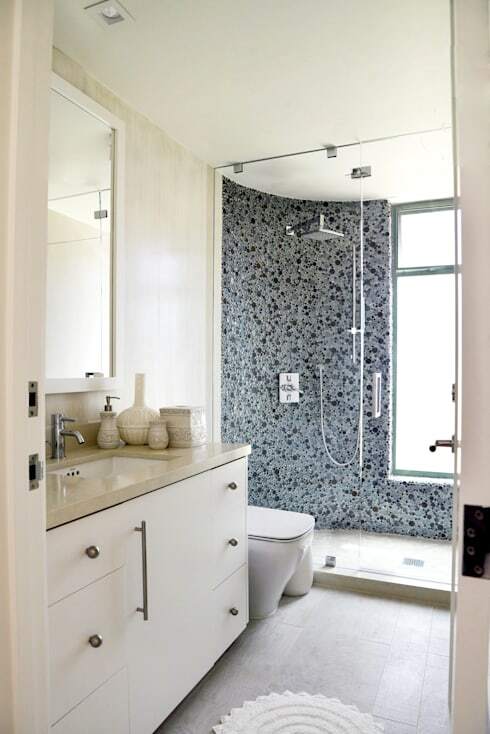 16 bathrooms with modern and fabulous showers! The bathroom is one of the most visited and personal rooms in the house. We visit it when we start the day and we visit it when we finish the day. Sometimes, we even take a refreshing shower in the middle of the day to clear our minds and de-stress! It also helps us to feel awake and alive! The shower is thus a very important feature in the bathroom. It's here that we are safe to sing, dream and imagine the day ahead of us. This is why we must ensure that this space is beautiful and bright. To show you just how much potential your shower space holds, we have put together 16 modern examples of top showers from around the world. Designed by some of the greatest design professionals, these showers will make you never want to leave the bathroom. 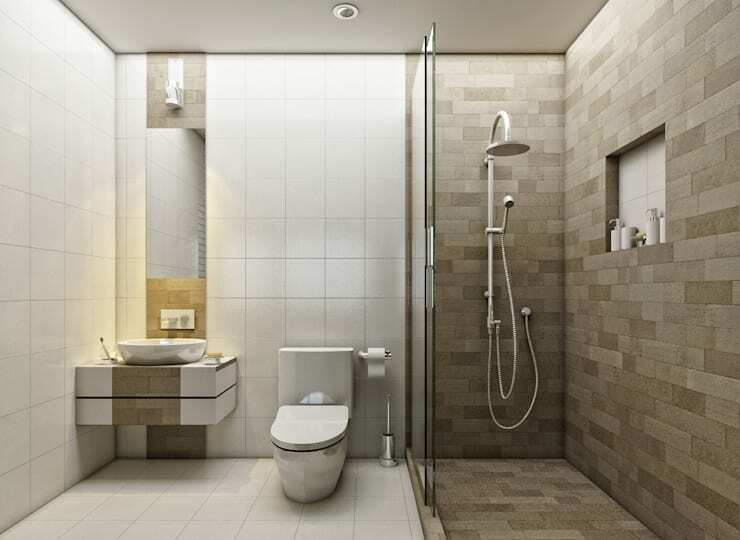 The location of your shower has a lot to do with the design of the bathroom. Traditionally, showers were positioned in the corner of the bathroom but if you want it to be the star of the show, there is nothing stopping you putting it right in the centre! 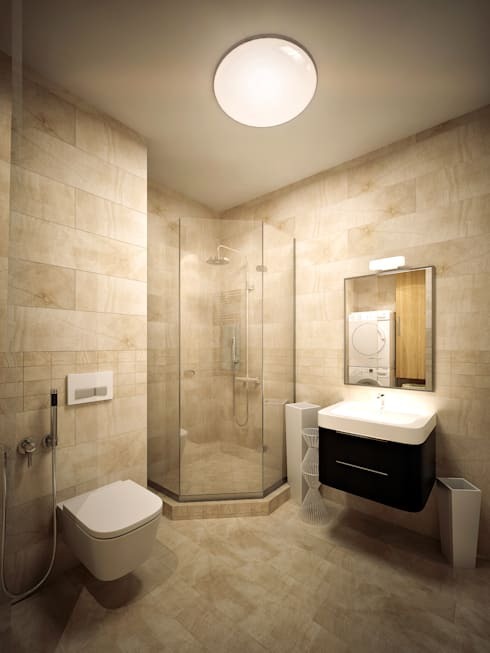 When designing the shower area, it is very important to take care when it comes to choosing the material for the floor. It shouldn't be slippery and if possible, should be fitted with a plastic protector. If you're looking to change up the look and feel of your bathroom, simply replace the shower floor for a refreshing touch. With a modern and minimalist glass cube shower like this one, you can create your own box of happiness and freshness. 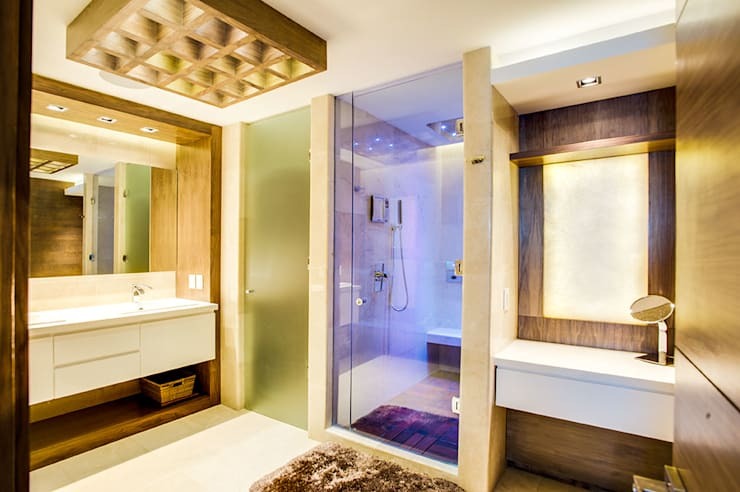 Lights can create a fantastic effect in your shower. They are also easy to install and you can have some fun with them. 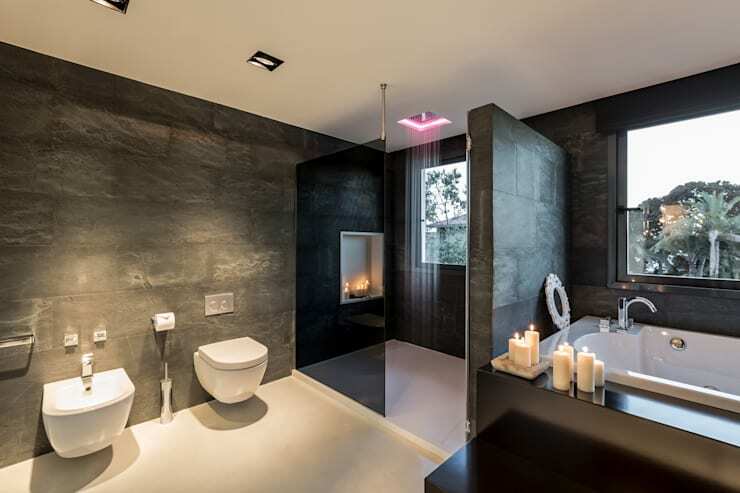 Don't you love how a coloured light is used in this shower for a very unique design? Giving the shower its own design and decor scheme is an excellent idea. You can decorate it with vinyl, mosaics, tiles or even stone, marble or granite. 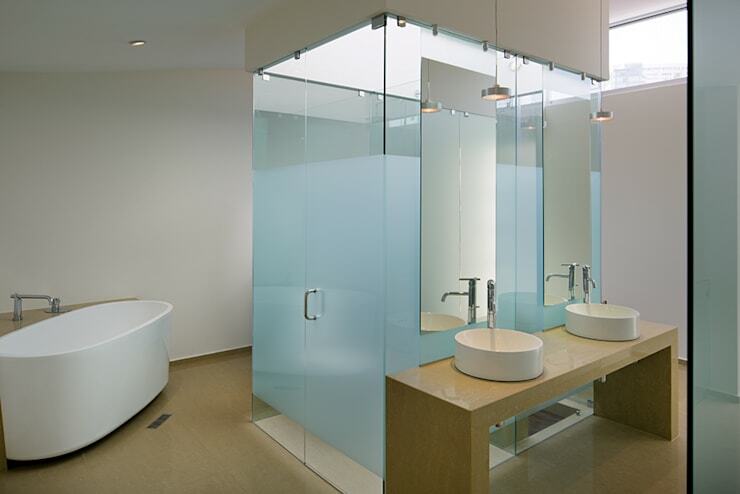 Use a large transparent glass door to put the shower on display! 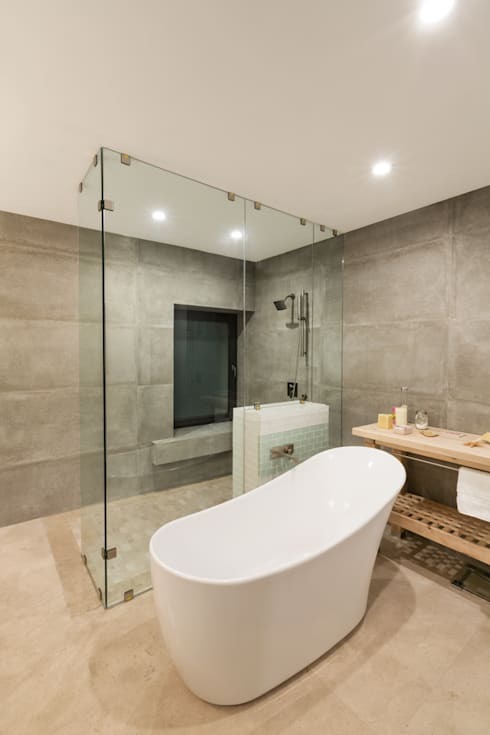 If you want your bathroom to be filled with freshness and tranquility, a design that combines concrete walls, wood and glass is all you need. If you have little kids or struggle with back or knee issues, a trendy wooden bench in the shower can be the perfect solution! 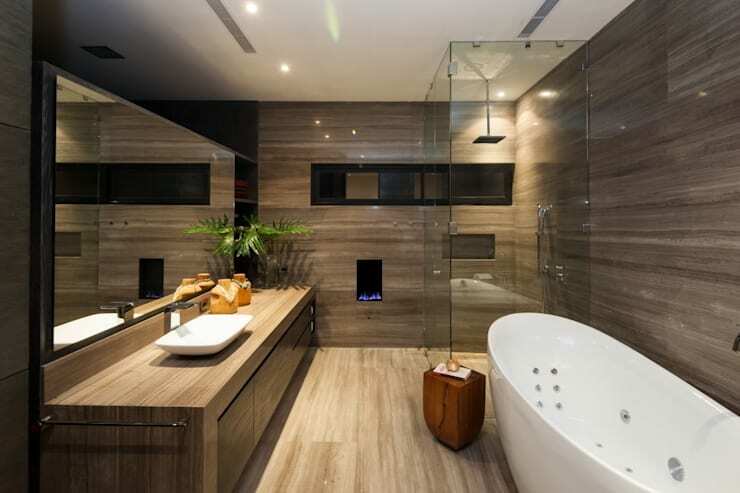 If you prefer a very private shower or if you share a bathroom, choose a design like this. It combines opaque glass with transparent glass so that you can only see a person's head! This is pure elegance at its best. 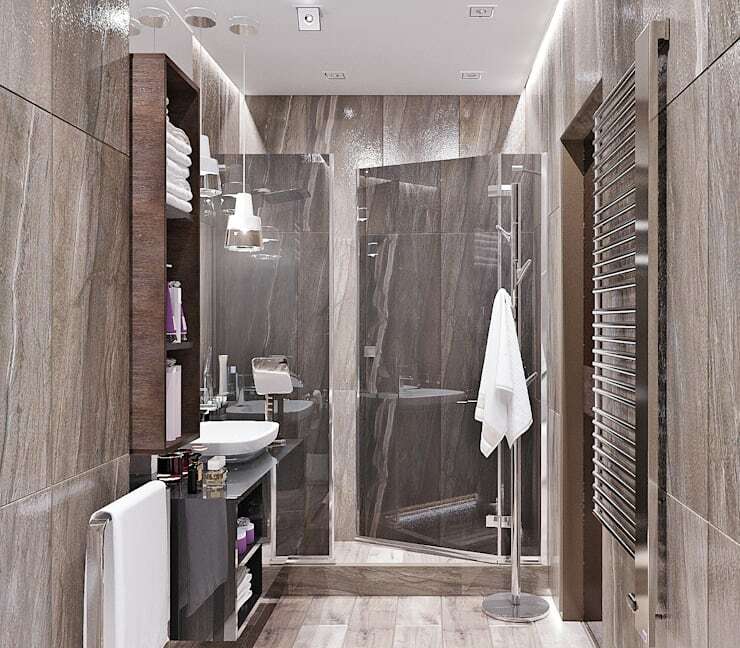 If you are preparing a guest bathroom and you love the idea of having transparent doors but still want to give the area a little bit of privacy, then simply create a wall between the shower and the rest of the room like these designers have done. 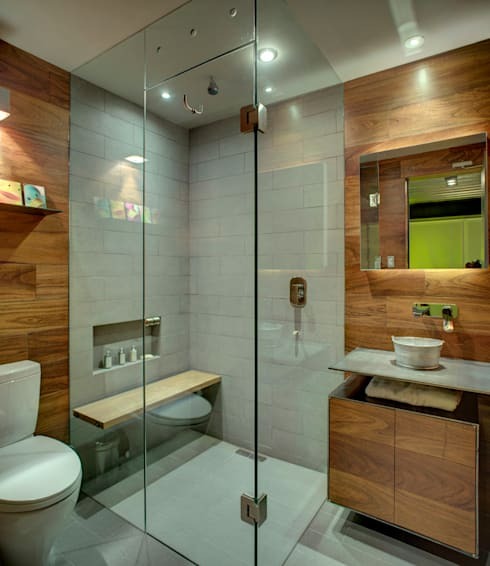 Stone is also a great addition to a bathroom space, injecting a bit of a rustic touch into the design. Geometric designs are always a good choice when it comes to creating harmony in our rooms. In this image, we can see how colours and shapes combine perfectly to build an elegant and pleasant atmosphere. The glass door creates the perfect transparent barrier between the two. This shower is surrounded by glass doors, but it blends in the background beautifully. 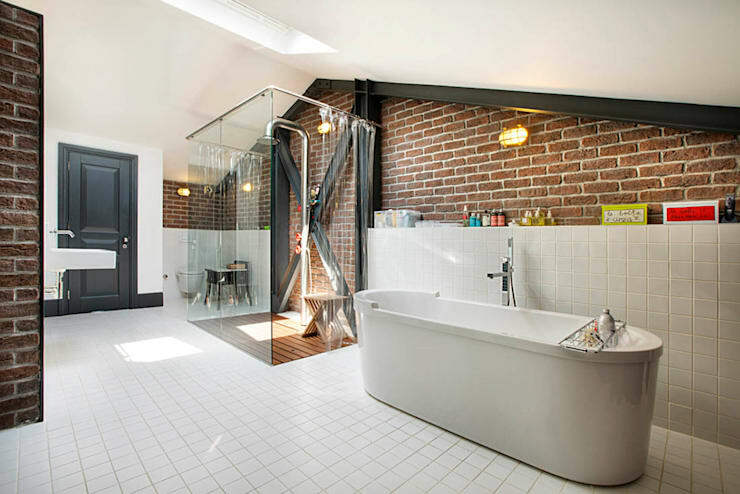 If you want an industrial design like this one, opt for raw brick walls and copper pipes for a fabulous end result. If your bathroom structure has a traditional style but you want to mix it up a little bit, use geometric lines and shapes to create a unique shower design. Do you see how the geometric lines of the shower contrast with the clean and straight lines throughout the rest of the room? Use tiles to bring a variety of different shades and tones into the bathroom space, creating a very elegant design. This room can truly become 50 shades of grey! If your bathroom is very small, a glass cabin will help to create an elegant little shower, while protecting the rest of the room from getting wet. The charcoal tones in this room contrast beautifully with the white floors, packing quite a punch! 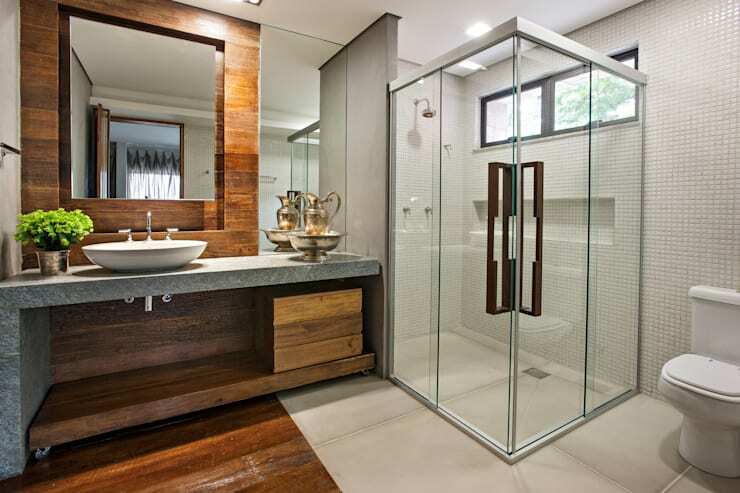 The frame or structure of a shower can also serve as a decor feature. 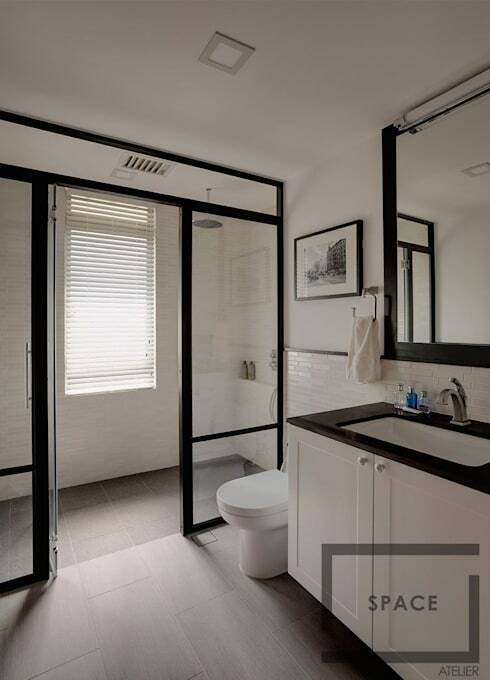 As we can see in this image, black frames can contrast beautifully with a white bathroom, creating a very striking design. 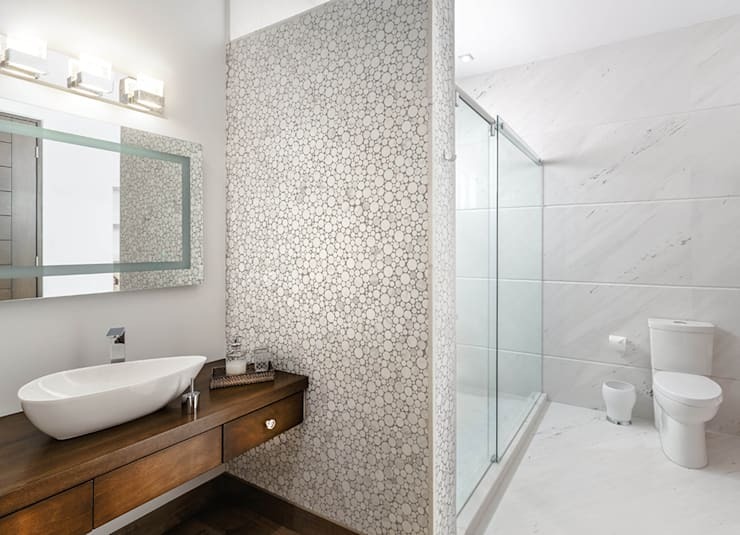 Also have a look at these brilliant, beautiful bathroom trends for more inspiration when it comes to sprucing up your bathroom space. Which shower is your favourite?